Combined software solutions for Terminal Services/ Citrix print environments. Plus Technologies and Tricerat Inc. have several mutual customers. In these environments, solutions from Plus Technologies and Tricerat Inc. can combine to deliver a superior streamlined output experience to Citrix printing environments. Both organizations have ensured their respective products work seamlessly with the other to produce a rich, robust print experience. The ease of print administration and confirmed print delivery are just some of the features found in this combined offering. WHY DO ORGANIZATIONS NEED OUTPUT MANAGEMENT? Today, many enterprises take advantage of Terminal Services, VDI, and XenApp technologies. Although robust, these platforms were never designed or optimized to address the many complexities of printing business-critical documents. These limitations can have a negative impact on productivity. Due to their reliance on native print spooling systems, these platforms do not have access to advanced print management capabilities. When printing problems occur, troubleshooting and tracking down errors can be burdensome and overwhelming for support staffs. Organizations that require high availability in their printing environments need batches of checks, statements, labels, invoices, patient wristbands and patient records to print reliably and on-time. Print Management / Output Management software like OM Plus offers significant improvements in the workflow process, provides a complete audit trail, and includes elegant document recovery and delivery. OM Plus manages, monitors and delivers print jobs to printers, ensuring each page is successfully printed to the right printer, every time so that print-related business processes complete without interruption. Simplify Printing is a robust solution that builds printer queues from print servers to all user workspaces and allows users to take their locally connected printers into remote sessions. Both OM Plus and Simplify Printing can run in unison on the same print server. As Simplify Printing collects print job data from the Windows queue/driver, OM Plus retrieves the rendered output from the back side of the print driver. OM Plus can also collect the username data when it is available. As OM Plus maintains a direct connection to the printer through bi-directional communications, it proceeds to process and deliver the print job to the printer. OM Plus receives feedback from the printer on the status of the job on a page-by-page basis. In this way, OM Plus can keep track of every page until all pages have successfully landed in the output tray. If an interruption should occur, OM Plus remembers the last page that successfully printed and can automatically re-start the print job on the next page. There is no need to restart the entire print job from the very beginning. OM Plus can notify administrators of print errors and can redirect print jobs to an alternate fail-over printer. OM Plus also captures audit data which can be analyzed for troubleshooting by help desk staff or system administrators. Microsoft/Citrix users log on to a server, mapping the appropriate printer definitions to the user’s workstation/thin client. When the end user submits a print job on the server, the server transmits the print job back to the workstation/thin client for the proper locally defined printer to process. To ensure fast, seamless delivery, all print data is compressed. Based on conditions such as, group membership, client IP, client computer name, and server, Simplify Printing is can map network printers to Terminal Services/Citrix using a print server agent. 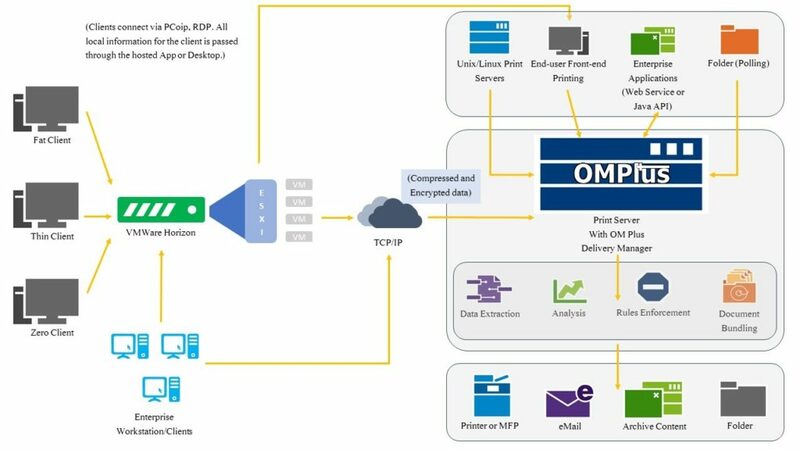 By combining OM Plus and Simplify Printing solutions, printing becomes easy to manage and can take advantage of all the powerful OM Plus Output Management features. Confirming that mission-critical print jobs actually land in the output tray allowing the business process to successfully complete. Reducing print downtime and lag time by automatically failing over to an alternate printer if the primary printer is unavailable using business rules. Bursts or bundles print jobs to improve distribution to the appropriate destination. Intelligently routing print jobs based on job meta-data like title, user, destination etc. Reduce printer support effort and associated cost. Managing delivery of print jobs from Citrix/Terminal Services, UNIX/Linux, hot folders, others, to print, fax, email, ftp, archive, web. Reducing or eliminating print driven process bottlenecks via printer load balancing. Free up network bandwidth with print compression, streaming, throttling. Ability to identify, track and analyze the “who, what, when, where” of printing activity. Ability to utilized OM Plus’ Advanced Print Job Management and Delivery functionality in Citrix/Terminal Services print server environment. Boost productivity and organization by providing seamless printing. Retain familiar printer environment names, look and feel. Increase server performance/reliability by eliminating spooler crashes. The combined solutions from Plus Technologies and Tricerat are a popular choice for healthcare organizations that rely on EHR /EMR software such as, Epic or McKesson. Organizations that implement these solutions see significant savings and improvement in their print workflows and business processes. OM Plus and Tricerat solutions allow customers in all industries to advance their print infrastructure capabilities. All industries can benefit through increased productivity, confirmed document delivery, improved reliability, and enhancing the overall print experience. 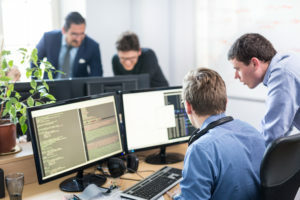 TriCerat software solves the mundane computer tasks that are necessary to keep today’s application delivery environments running. Maybe it’s the time-consuming user profile problems that plague System Administrators or the run-of-the-mill printing problems in your office that bring user productivity to a halt. 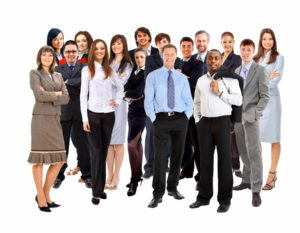 Tricerat’s software simplifies the work of Administrators and ensures the time your employees spend at their computer is productive.